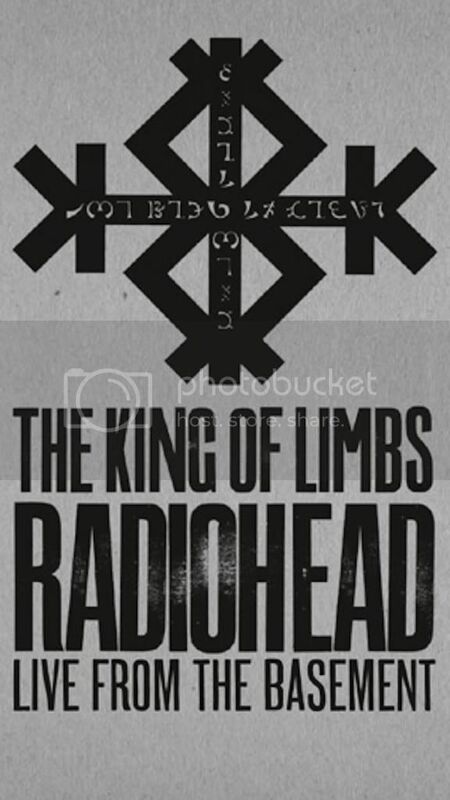 Radiohead have announced details for an upcoming DVD/Blu-ray release The King Of Limbs - Live From The Basement, with the digital available through iTunes December 19 and the physical release in stores by early January. The band did a digital only release of a "Basement" performance of In Rainbows, which is still available via iTunes. The "Basement" series was at least partly inspired by longtime Radiohead producer Nigel Godrich. The 11-track live, in-studio performance covers The King Of Limbs in its entirety but it's not performed sequentially. There are also a couple bonus tracks mixed in, including the digital single "Supercollider" and the previously unreleased "The Daily Mail" and "Staircase." This news comes just as the band prepares to head out on a 2012 world tour, with the first 10 dates having been announced last week and a handful of shows beginning ticket sales. Tickets for the Atlanta show I hope to attend go on sale this weekend, which is entirely inconvenient but I haven't ruled it out of the question. This is a band I **really** need to cross off my bucket list and see. Efforts are underway. Bet that.